Dr. Magallon is a graduate of the University of California at San Diego in La Jolla. He earned his Doctor of Medicine from the David Geffen School of Medicine at the University of California at Los Angeles. He then trained at Beth Israel Deaconess Medical Center, a major teaching hospital of Harvard Medical School, for both his internship and residency in internal medicine. Dr. Magallon then went on to complete his Cardiology, Interventional Cardiology and Endovascular Fellowships at Columbia University Medical Center/New York Presbyterian Hospital in New York City. Dr. Magallon is Board Certified by the American Board of Internal Medicine in Cardiovascular Disease and Interventional Cardiology. Dr. Magallon’s professional interests include the management of coronary and peripheral atherosclerosis. 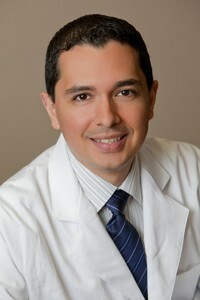 He is dedicated to outstanding patient care and effective communication with patients and their families. His outside interests include spending time with his family, cooking, traveling, soccer, and reading.